This above-and-beyond business model earns Eastern the prestigious Spectrum Award a fourth consecutive year with a five-out-of-five-star rating. 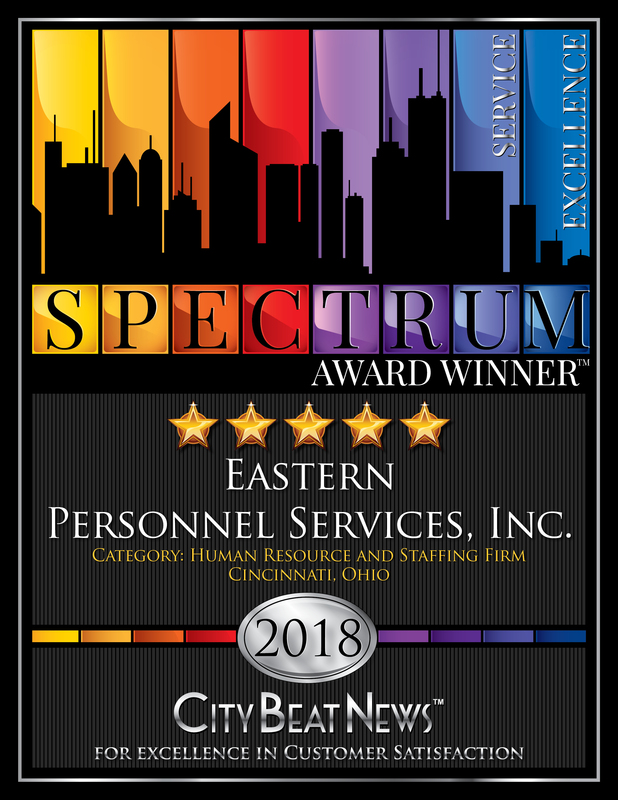 The Spectrum Award is presented for excellence in customer service by City Beat News™, an independent research and publishing company striving to provide a voice to consumers nationally. “People have greater faith in award-winning companies and trust the third-party validation provided by the Spectrum Award process. CBN has been doing this type of unbiased market research for years,” explains Teresa Hersha, CBN Customer Care Executive Manager. The award is based on independent market research using a proprietary rating algorithm which neutralizes bias, and then identifies businesses, like Eastern, who deliver great customer experiences. Eastern Personnel Services pairs job candidates with full and part-time positions, and matches candidates with companies and organizations from a diverse group of employers who have long-standing, vetted partnerships with Eastern. 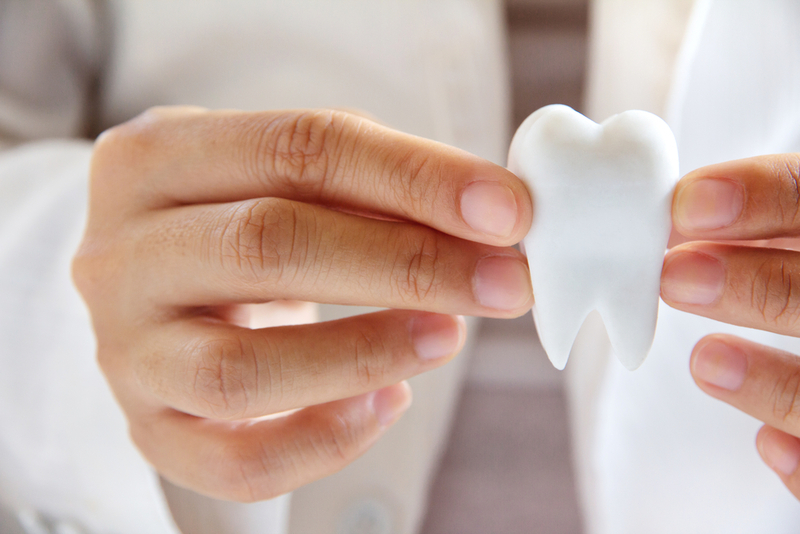 Employers include a range of companies, from major corporations and governments to nonprofits and small businesses. For example, Eastern is contracted to fill more than 350 seasonal jobs for sports organizations this year, as well as long-term blue collar and professional placements with local government agencies. contract directly with Eastern for back-office administration to streamline their business support services, such as scheduling, invoicing and accounting logistics, information technology, and media relations work. The transformational leadership of Moreno-Jones navigates this award-winning company with a long list of recognitions naming her a hometown hero, entrepreneur-of-the-year, career woman-of-achievement, community service awardee, business-of-the-year recipient, and more. 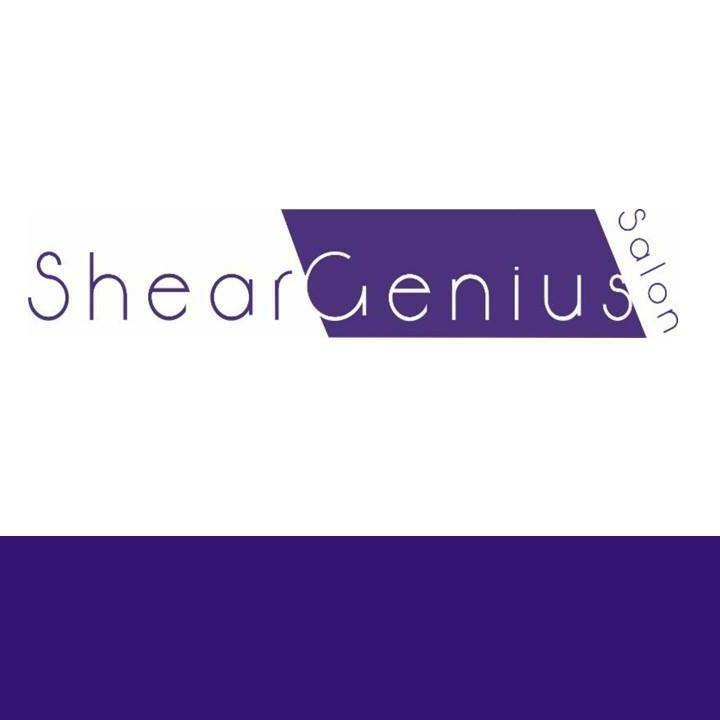 She and her staff are sought after for their knowledge in developing and managing a diverse clientele and equal opportunity employment practices. City Beat News is a national research and publishing company providing a balanced, objective view of customer satisfaction through independent, annual research. Research is comprehensive, unbiased and accurate, and reflects ratings that guide consumers and credibly power communities and economics. By highlighting top-flight service with the Spectrum Award for excellence in customer service, CBN strives to strengthen the highest performing companies and the communities they support across the nation. Learn more at citybeatnews.com. 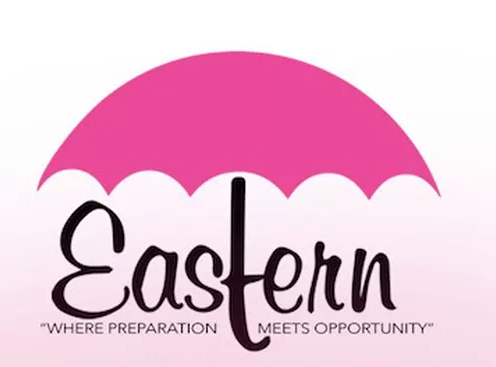 About Eastern Personnel Services, Inc.
Eastern Personnel Services is Cincinnati’s go-to human resources and staffing agency, acting as a trusted partner to employers and job seekers for over 30 years. Contact Eastern Personnel at 619 Central Avenue in Cincinnati, Ohio, or by phone at 513-421-4666. Online, find Eastern Personnel Services at www.easternhires.com or on Facebook. Visit their Spectrum Award page for more information.